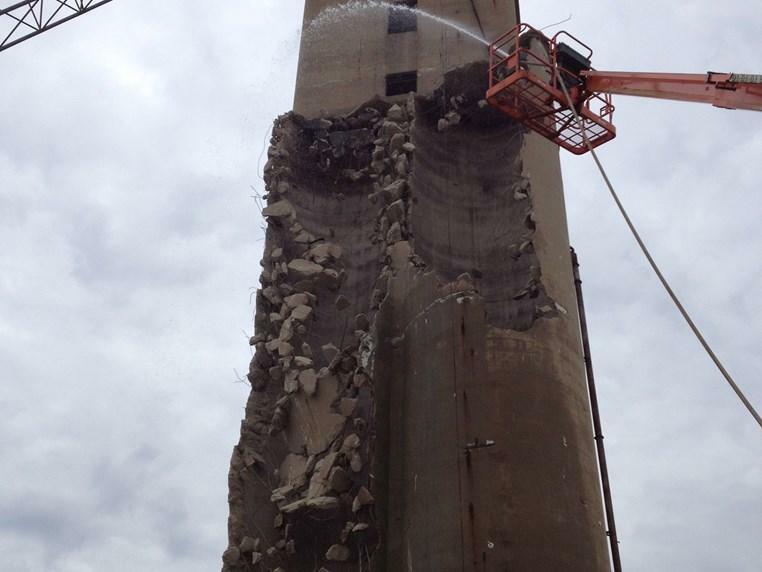 Casey-Bertram Demolition was contracted to remove this 100 year old concrete structure that was over 100 feet tall. 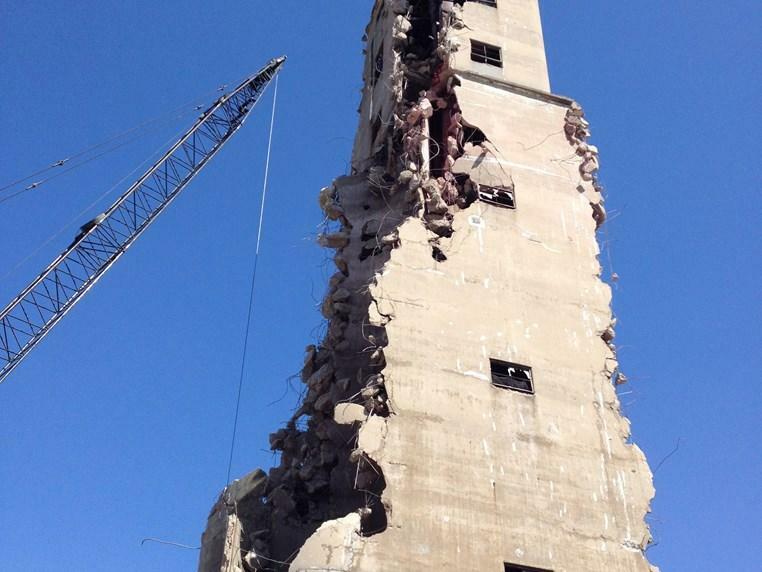 It was removed used a wrecking ball, and later using excavators once the height of the building was reduced for a safe height for the excavators. 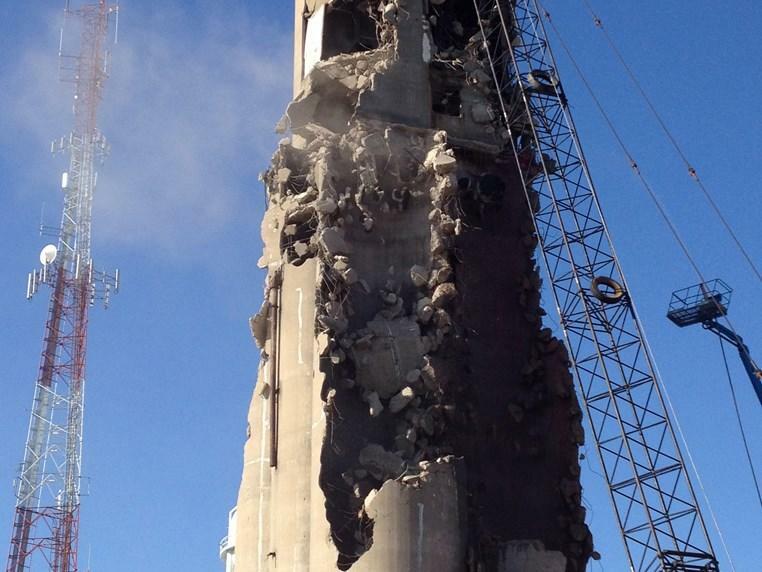 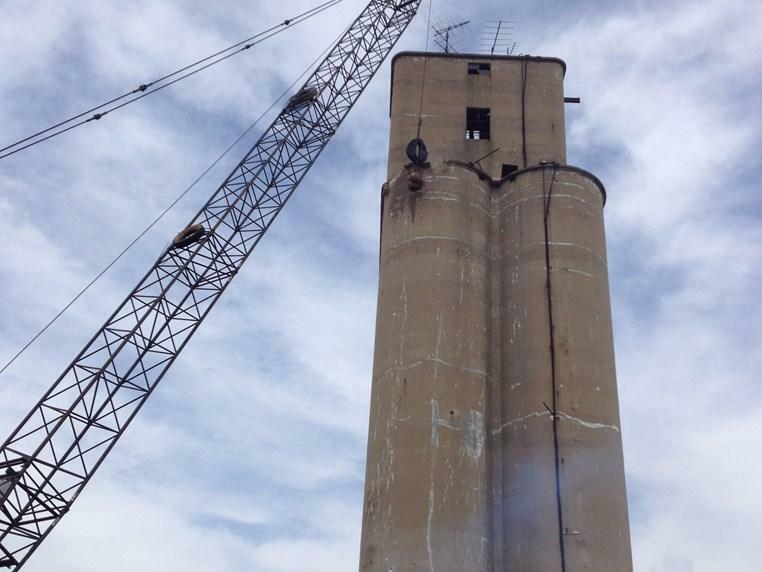 Check out Grain Elevator Demolition Video.